Language Classroom: Students ages 2-4 are using the Montessori language materials to learn phonics, sound and symbol letter recognition and beginning reading. Each activity on the shelf has a specific purpose to strengthen a particular language skill that each child needs to acquire in order to begin reading more fluently. Main Classroom: Students ages 3-4 gather here every morning to begin the school day with circle time and a presentation with a Montessori material. The main classroom is bright with plenty of natural light and space for children to work independently. The material in this classroom focuses on mathematics, sensorial, geography, science and world cultures. Again each activity that is available has a specific purpose to strengthen the particular skill that it focuses on. Practical Life Classroom: Students ages 2-3 typically complete work in the practical life classroom. These activities consist of activities meant to strengthen fine motor skills, concentration, coordination, order and independence. Each activity has a practical value and is typically something a child will encounter in everyday life such as sweeping, buttoning, scrubbing, spooning, etc. The practical life classroom is full of natural light and has plenty of room for children to work independently. Toddler Classroom: Students ages 2-3 gather here every morning to begin the school day with circle time and a presentation with a Montessori Material. The Toddler classroom has plenty of different developmentally appropriate materials available to the students that allows their cognitive development to grow. Toddler students are able to complete puzzles, grade objects by color and size and build with various types of blocks, etc. Pre-K & Kindergarten Classroom: Students ages 4-6 work in this classroom beginning in the morning with a circle time and presentation of a Montessori material. 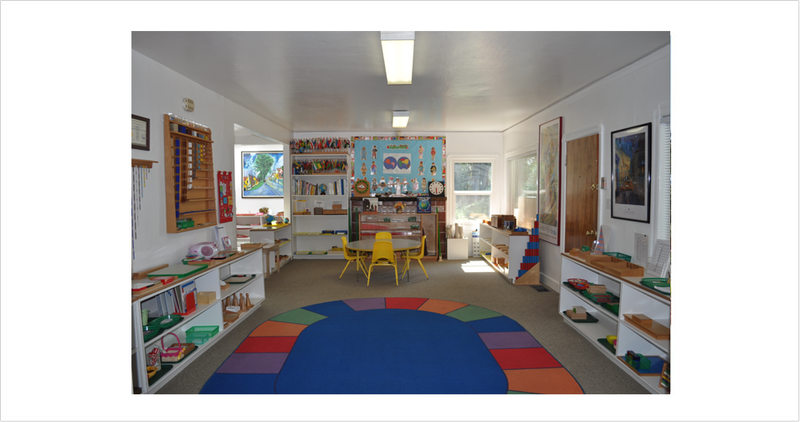 The Pre-K and Kindergarten classroom is an extension of the Montessori Preschool classroom. The material is age-appropriate, yet, more advanced and engaging for the older students cognitive needs. The students focus on learning about more complex such as mathematics operations, reading fluency and comprehension, geography, culture and science. Every activity is geared to assist each student in reaching his full academic potential so that when leaving our school our students are adequately prepared to face their next academic challenge. Front Play Yard: Our front play yard is in a large, shaded, park-like setting complete with a play ground, play houses, sand box and water tables. The yard also has low-set picnic tables for the children to each lunch and have snack on, which is shaded by a large, mature apple tree. Side Play Yard: Our side play yard is in a large, flat concrete area complete with room to ride tricycles and play basketball at low-set hoops. The children have access to a variety of activities such as side-walk chalk drawing, playing with dump trucks, building blocks and a variety of play bouncy balls. 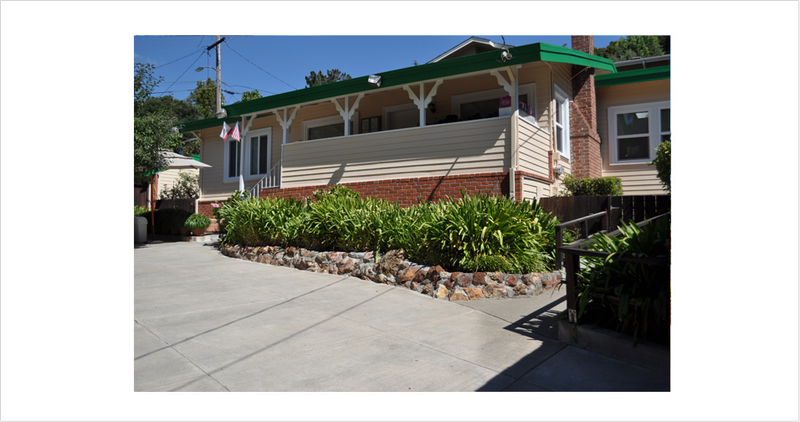 This yard allows room for the children to run and is largely shaded.